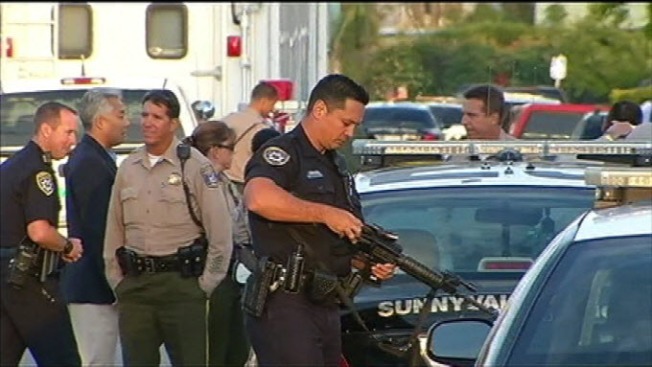 After a six-hour manhunt that began in the unincorporated part of San Jose, federal marshals on Wednesday night captured a mentally ill "person of interest" following the brazen and deadly stabbing of a 48-year-old woman and her 1-year-old grandson. At a news conference, Santa Clara County Undersheriff John Hirokawa announced the 9:15 p.m. detention of Ruben Ramirez, 27, who was found by U.S. Marshals in San Francisco. 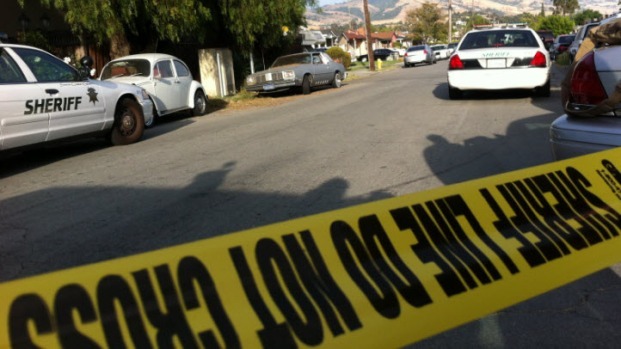 On Thursday, Ramirez was arrested for the deadly stabbings at 3:30 p.m. on Viewmont Avenue in the Alum Rock area, which also included a stabbing - though not deadly - of a 3-year-old girl - another grandchild. She was in stable condition Thursday at the hospital. Police scoured and Alum Rock neighborhood searching for a man with metal illness after three of his relatives were found stabbed inside a home. Kris Sanchez reports. Ramirez was initially listed as a "person of interest" in the stabbings, but Thursday he became the prime suspect. Police said he killed his mother and his nephew. The adult female victim was the grandmother to the 3-year old female and 1-year old male. The two young children are not siblings, but cousins, according to police. Ramirez had been described as mentally ill, and Santa Clara County sheriff's deputies had visited his home in the recent past for some sort of violence, though they didn't disclose much more than that. 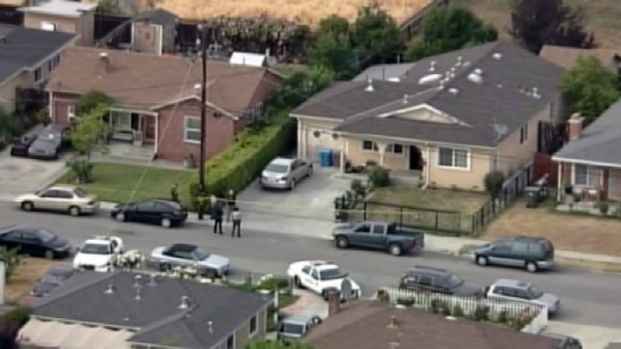 Police are searching for whoever stabbed an adult female and two young children in San Jose's Alum Rock neighborhood. Investigators said the woman's husband, Atanacio Ramirez, came home and found his wife, his niece and his nephew had been attacked. He called 911. And he called his brother, Romeo. "My wife is dead," Romeo recalled his brother saying. The leader of the nearby Las Palmas Church, Pastor Arturo, said Ruben Ramirez has a history of mental illness. The pastor also said Ramirez has been off his medication and deputies responded to a report of violence at this same address this week. Investigators said Thursday that throughout the years, deputies have handled a number of calls at the residence involving suspect Ramirez. "Our most recent contact with the suspect was on October 18, 2012 when it was reported that the suspect was attempting to break-down a door at the residence. Two Sheriff's Office deputies who have received Crisis Intervention Training, training for skills in dealing with those suffering from mental health issues, responded to the scene. These deputies recognized some issues with the suspect and transported him for treatment," the sheriff's department release sadi. There were no details of what led up to the attacks. Police released a photo of Ramirez.